The EAPAA accredited MPM Program is a science-based and practice-oriented mid-career program that aims to equip professionals with a new understanding of public service issues. Particularly in developing and transition countries, public administration requires decision-makers with interdisciplinary skills who are capable of solving problems in management and communication, thereby helping to drive public administration reform. 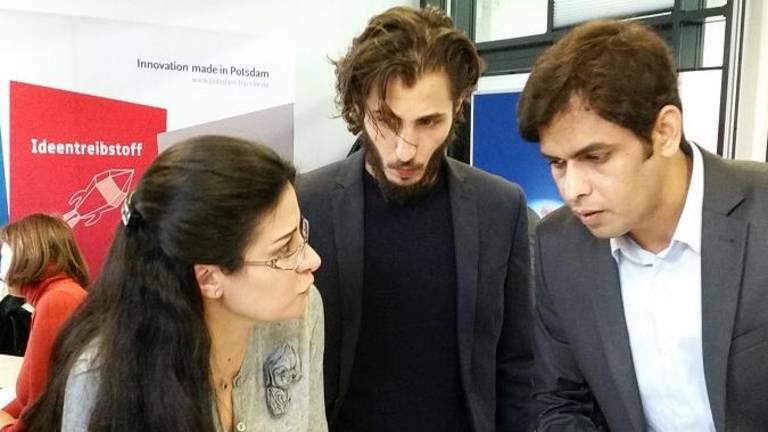 At the University of Potsdam MPM students are not only are taught by a highly recognized faculty, they also study in an international setting on a very modern campus. The program is complemented by extracurricular activities and a one-week study tour. The specialization in Public Policy and Administration (PPA) within the MPM Program offers academically sound, practice-oriented training for public policy and management. The stream combines business management with social sciences perspectives and prepares participants for interdisciplinary approaches to conceptual assessment, implementation, and the adaptation of international management models to the specific circumstances of the public sector. Short descriptions of our stream foundation modules and an overview of our joint foundation modules can be found below. Furthermore all students can choose from different elective modules. The overall objective of the course is to inform participants about modern concepts, instruments and techniques of financial management including issues of public finance in the public sector. The course Human Resource Management aims to help future managers to improve their effectiveness in the employment, development and assessment of their employees in order to enhance the value of the organization's human resources. Our specialization in Global Public Policy (GPP) takes an interdisciplinary approach to successfully address the challenges of global interdependence. Faculty members and students will work together on the analysis and design of international policies and options for implementation. Students will receive a firm grounding in international politics, international development and international organizations and draw on the latest approaches. MPM Global Public Policy graduates will be able to analyze policy problems beyond the nation state and contribute effectively to the design and formulation of “real world” policies that deal with cross-border problems. The module explores how governments, transnational business actors, civil society, and international organizations respond to the demands of international public policy formulation and implementation in order to address problems of a border-transgressing nature. In order to do so, the course takes a look at the definitions of public policy, the cycle they follow theoretically and in practice. This seminar will examine changes in state-market-interactions as well as institutional change in developing countries. With more intense international collaboration and global interaction, the focus today has shifted to new modes of governing and governance, which more deeply involve non-state actors in overall development. The GeoGovernance (GG) stream provides a science-based additional qualification for professionals working at the interface of administrative and environmental policy. GG aims to better integrate the results of current research on global problems such as natural hazards, climate change and sustainable resource management into policy decision making. To bridge the gap between natural and social sciences, GG has a strong interdisciplinary focus which incorporates earth and environmental topics into the classic public management program. The GeoGovernance stream is based on a strong collaboration with the prestigious Potsdam Institute for Climate Impact Research (PIK) and the GFZ German Research Centre for Geosciences within the framework of PROGRESS. Short descriptions of our stream foundation modules and and an overview of our joint foundation modules can be found below. Furthermore all students can choose from different elective modules. The purpose of this course is to provide an overview of global environmental policy. The course comprises overarching conceptual frameworks, select empirical domains of global environmental policy, and the management of long-term environmental policy problems. The aim of this course is to provide a general understanding of the dynamics of planet earth, rates and scales of environmental change, and the relationships between human societies and earth system processes. This course is designed for students with limited or no background in earth and environmental sciences.